Brown Interiors is a furniture store and interior design studios. This family-owned local business has grown to over three hundred vendors and several million dollars in sales. They work with commercial and residential spaces. After establishing a strong presence in the community, the founder was looking to expand into the online market. Therefore, business would find more ways to bring in clients besides the usual print and word-of-mouth advertising. The owner was looking for a website redesign, speed optimization, and the ecommerce website development. She wanted to keep the original style of the website while adding content and creating a more user-friendly navigation of the website. Lastly, the owner was looking for a responsive web design that would allow users to shop from their mobile phones and easily search products. From the marketing side, the founder needed a full branding package which would help improve their logo, adding search engine optimization to the new website, create customized content, generate advertising campaigns for social media to bring more followers. The owner also was looking for Amazon Store development as drop-shippers to sell their vendors’ products on their Amazon Webstore. Astash modified Brown Interiors’ logo and created web design with convenient, user-friendly navigation that helped increase user experience, and an elegant appeal suited perfectly for an interior design company. We added a beautiful photo and video portfolio and made a home page with a custom full width video for the background. We developed a custom blog platform with 120+ blog posts. Also aStash increased website speed to over 70% on both desktop and mobile. We could achieve this by optimizing backstage code, server load, and all images to make sure user experience exceeds expectations. We created a new ecommerce platform with over 40,000 products and 5+ vendors. This fully optimized online store allows users to search and filter products, see their order history, receive payment and shipment notifications, and it is extremely user-friendly! The store includes categories like furniture, home decor, bedding, bath accessories, and much more! Astash set up a Brown Interiors Amazon Store with over 10,000 products and over 3,000 daily sessions. The founder chose a monthly subscription package where we update prices and inventory in both their ecommerce site and Amazon store. We also organize the 20,000+ products, so all the business has to do is process shipments and collect revenue. Every business knows how important it is to establish an image and maintain their reputation. 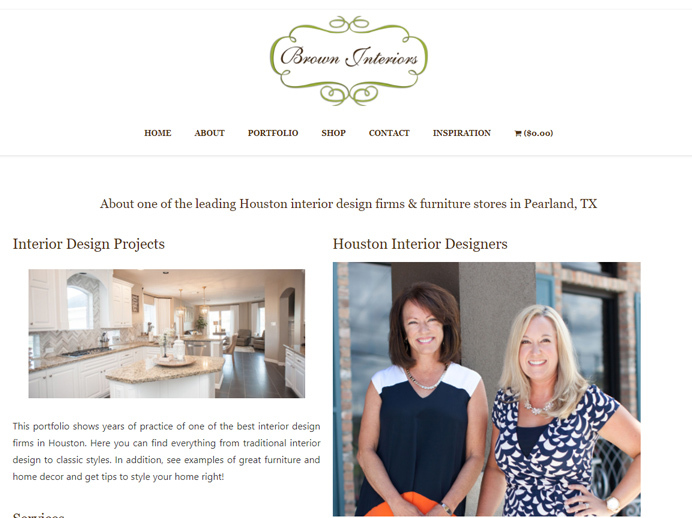 We helped Brown Interiors develop their brand from designing business cards to choosing keywords for their site. Also, by focusing on social media advertising campaigns we were able to increase Brown Interiors’ followers 3X throughout all social media channels. We developed campaigns for multiple events which increased CTR on Facebook by 350%. We used multiple email advertising strategies and improved local search results by setting up and maintaining local listings. 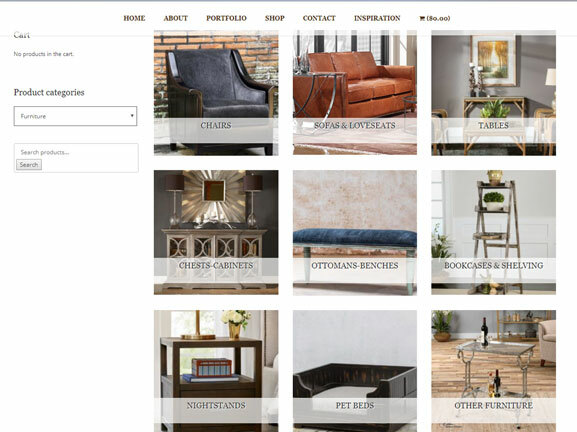 Astash consistently creates new blog posts for Brown Interiors to continue engaging their customers and maintaining relevance on search engines by adding new keywords and backlinks. At aStash we provide custom ecommerce solutions for ecommerce websites. We can implement a shopping cart and a payment gateway of your choise. Whether you need a Fort Collins ecommerce development or Amazon webstore development, we can help! See more about our Fort Collins web design services or check out our ecommerce store pricing. To read more about this project continue in the Digital Marketing section of our portfolio.